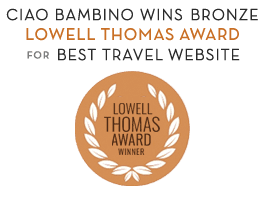 Boston Harbor Hotel - Ciao Bambino! As the grand dame of Boston’s waterfront, this hotel combines elegance, service, and location to deliver an unforgettable Boston experience. From the moment guests are greeted by the bellmen in long coats and top hats, they know that they’re in for a luxurious stay. The lobby sits right on Boston Harbor and takes advantage of the location with waterfront dining, music outside in the summer, and water taxi service to Logan Airport and various other destinations. The Rose Kennedy walkway provides guests with easy access to the North End, the Financial District, and Fanueil Hall. It’s also within walking distance to the Aquarium, the Children’s Museum, the Fleet Center and the ICA. The rooms are spacious and the service is outstanding. Kids love the saltwater pool, which doesn’t sting their eyes or dry their skin; parents love the Pilates and yoga classes, as well as the nice gym. Kids are greeted with a welcome gift and games, and other amenities such as strollers and bed rails are available on request.